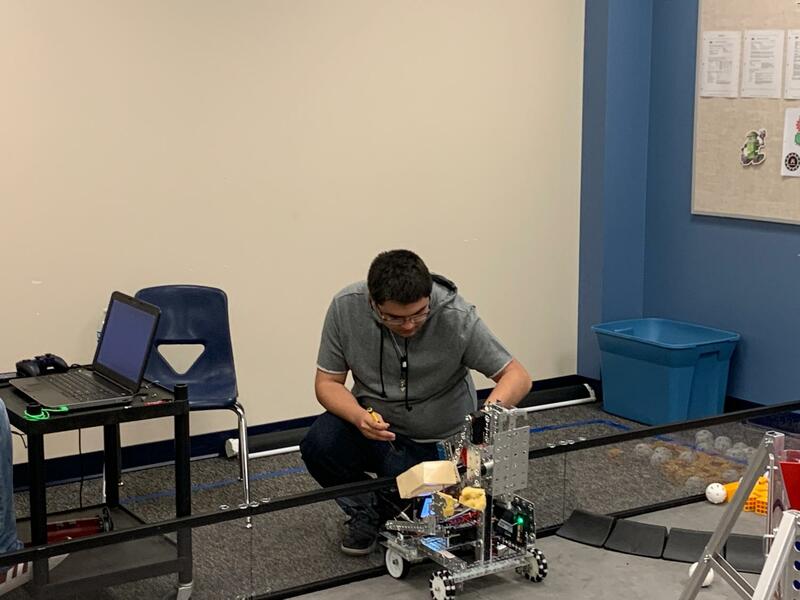 The efforts of Mrs. Debby Bass and her team of 6 competitors have remained constant this year, even though many schools in the district have abandoned the program. 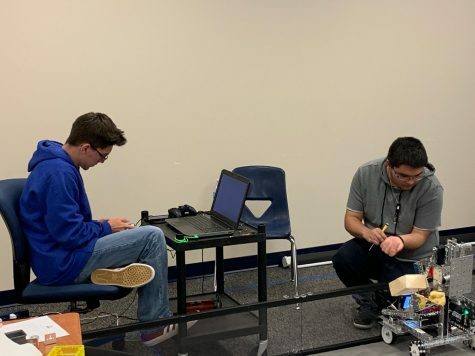 Qualifying matches were canceled this year due to lack of participation, providing the Panther Robotics team with a shoo-in to the FTC state qualifying meet in Tyler on Thursday, April, 4th. The robotics competition is divided into 2 events: the programming division, which focuses on the contestant’s ability to actually program the robot to do certain functions on command with no driver; the driving division, which tests the contestant’s ability to manipulate the functionalities on the robot using controllers as well as program function. 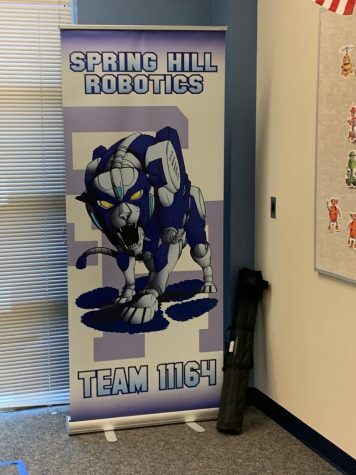 Jayden Tipton is currently the sole competitor from Spring Hill in the FTC state robotics programming division. Fellow programmer, Dallan Palmer had other commitments that are keeping him from participating. Though the pressure of this may seem overwhelming, Mrs. Bass has prepared Jayden well to be a major competitor at this event. The competitors competing in the driving division are: David Cook, Madison Cook, Austin Jones, Kaleb Saxon and Jacob Zaricor. Dallan Palmer uses data from the controller to tweak the input for the bot. Robotics is certainly a class to consider as all students participating seem to be passionate about their role on the team. The team departs today for competition, being sent off in Panther fashion with a Pep Rally style send-off from the student body. Good Luch Robotics!